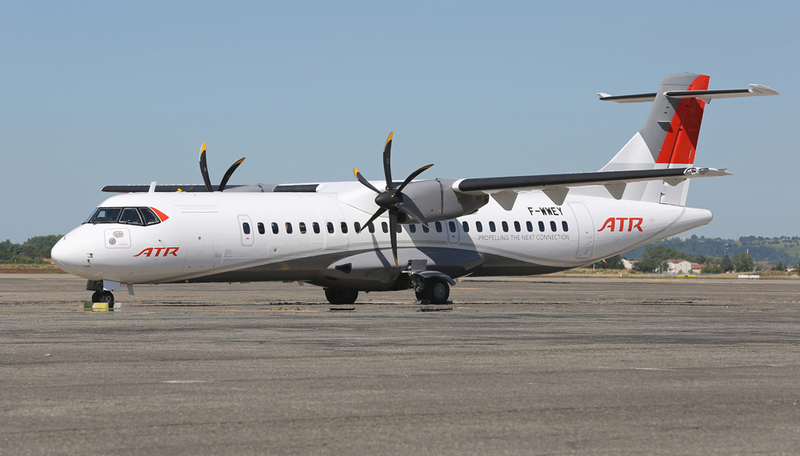 Air Senegal SA, the new Senegalese national airline, has signed a contract for a firm order of two ATR 72-600s at the Paris Air Show. 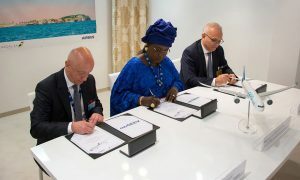 With an estimated value of approximately 50 million euros at catalogue price, the contract was formalised today in the presence of Maimouna Ndoye Seck, Senegal’s Minister for Tourism and Air Transport and Elisabeth Borne, French Minister for Transport. Delivery of these two turboprop aircraft, which will constitute the initial fleet of the airline, will be made in November 2017. Air Senegal SA’s inauguration ceremony will be held on December 7, 2017, in conjunction with the inauguration of the new Blaise Diagne International Airport in Diass, located some 50 kilometers from Dakar. 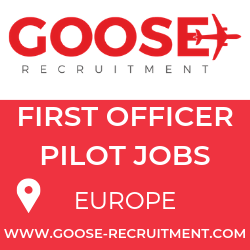 The reinstatement of a national airline is part of the wider scope of a government plan called Plan for an Emerging Senegal (PES), aimed at establishing new economic and social policies in the medium to long term, to revitalise the economic growth of the country and to improve the quality of life of its inhabitants. 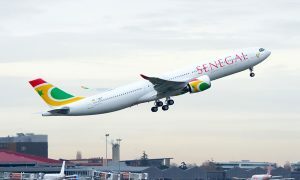 As part of its development, Air Senegal SA next plans to acquire single-aisle aircraft, followed by high-capacity aircraft, which should enable it to operate the famous Paris–Dakar route.